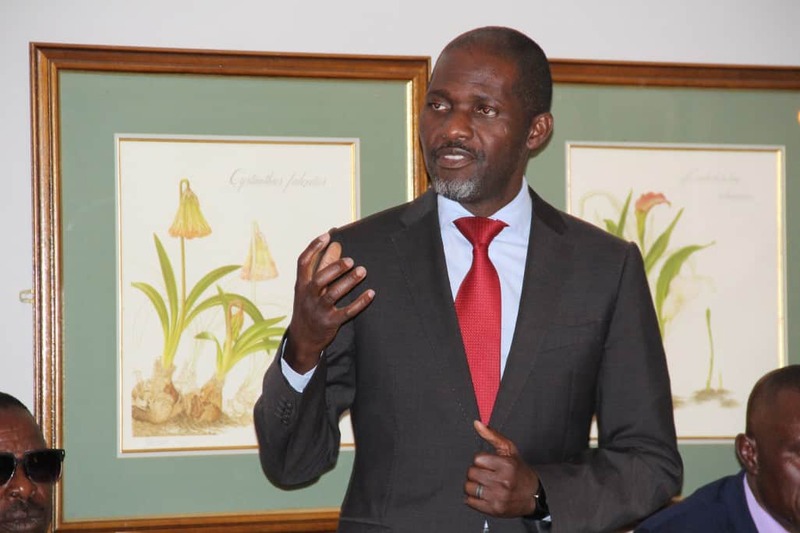 FreeZim Congress leader and philanthropist Joseph Makamba Busha last Friday pledged $5 000 towards the construction of a science laboratory at Henry Low Primary school in Bulawayo. Officiating at a Climate Change Awareness campaign launch in the city of Kings, organised by the Zimbabwe Coalition of Climate Change with support from other partners, Busha pledged his party’s support in line with its environmental and educational policies which prioritizes science and technology advancement in both primary and secondary education. Zimbabwe, like the rest of the world, is already experiencing the effects of climate change such as the unpredictable weather patterns which affect agricultural production and high temperatures which bring rise to tropical diseases. The party’s environmental policy also advocates for the reduction of harmful substances to the environment which harms the well-being of human life and natural resources and the education policy advocates for free and quality education to all. The science lab will add the practicality of experiments to the learning process. “First to the headmistress of Henry Low primary school Ms Mnguni as the host of the campaign, we will donate $5000 towards a science lab that deals with climate change,” he said. He commended the foundation for making efforts in the adaptation of climate change in science subjects such as biology, physics, and geography, as this will go a long way in making students understand the phenomenon better. Busha encouraged students to study towards being tomorrow’s biologists and physicist who will learn more about carbon dioxide, the number one gas contributing to the change in climate, and discover alternative ways of saving the environment from further harm. To the students from all the participating schools during the launch, Busha introduced an essay competition which will see the best essay writer walking away with $1000, the second runner-up with $500 and the third runner-up with $250. “The essay question will be based on all the presentations made today, What is climate change and what are the possible solutions of reducing its harmful effects,” Busha said. Climate change is about the abnormal variations to the climate and the effects of these variations on other parts of the earth. The major contributor to climate change is the carbon emissions from coal power generation and industrial pollution.